Clayton Allen always dreamed of being a superhero like those he read about in comic books. 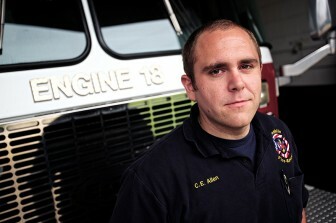 Now, Allen serves as a different kind of real life hero for the Mobile community. 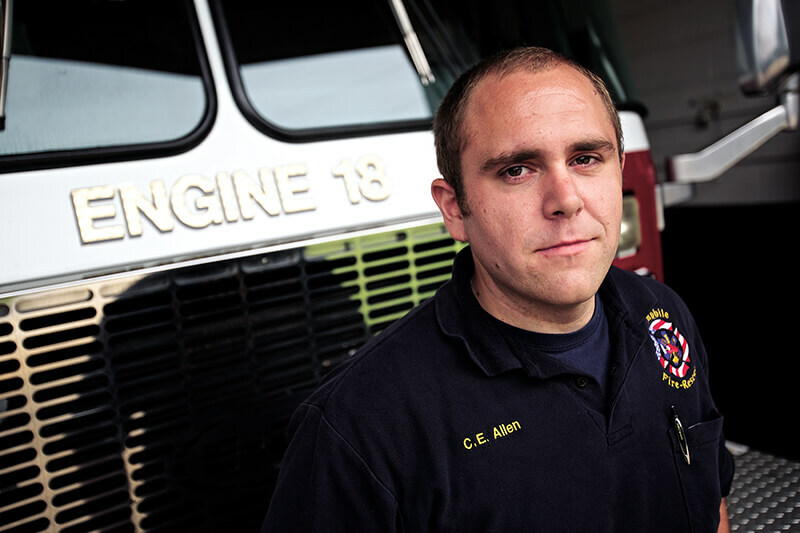 Allen began his job at the Mobile Fire-Rescue Department in 2011 where he currently works as a firemedic, a combination between a firefighter and an emergency medical technician. Allen grew up in Semmes and graduated from Mary G. Montgomery High School in 2010, where he was the drum major for the MGM Viking Marching Band. 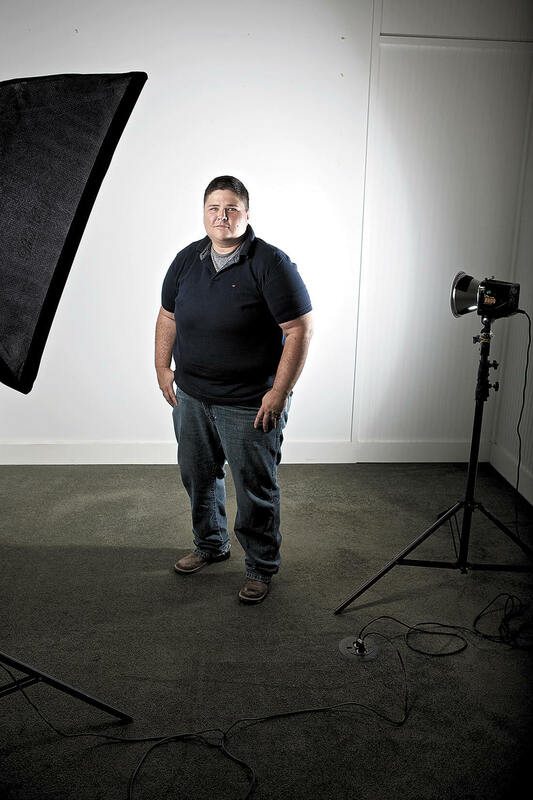 Upon high school graduation, he immediately began working on his bachelor’s degree in Emergency Medical Services at the University of South Alabama. Having already completed two years of schooling required for paramedic certification and licensure, Allen started working at the MFRD while working toward his EMS degree. Allen said he is about a year away from completing his EMS degree and plans to apply for a physician assistant program in the future. During a normal day on the job, Clayton said he cleans up the fire station, checks gear and ensures the ambulance is in proper order by reviewing and stocking medications. The station also participates in public service events and community outreach. When the station responds to calls, Allen wears many hats when it comes to his responsibilities. He said sometimes he rides in the rescue truck as a firemedic while other times he may ride on the actual fire engine when responding to fires. When strictly working as a paramedic, he and a partner ride in the ambulance that responds to all medical calls, not just those related to fires. According to Allen, there are two medics at the station at all times. With four firefighters per engine, two paramedics per rescue truck and a district chief, there are seven people at Station 18 on any given day. Every month, Allen is required to work 10, 24-hour shifts at the station, where he works for 24 hours and is off duty for 48 hours. He also has a second job as a paramedic at SSAB’s steel mill in Axis, Ala. When asked about any specific story that stands out in his mind, Allen simply responded with what sticks with him from day-to-day. 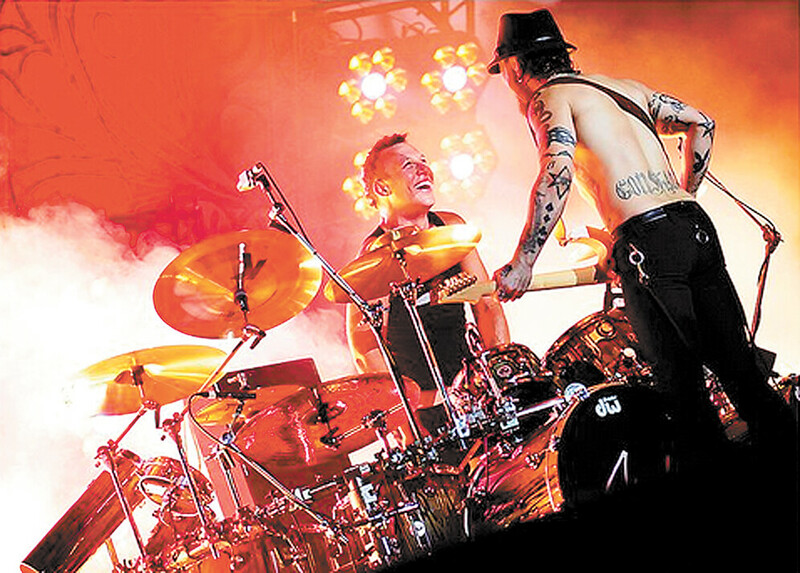 During his free time, Allen participates in activities any regular 22-year-old guy might enjoy, like fishing with his dad, working in the yard, hosting parties, going to rock concerts and playing drums. Having just married four months ago and currently in the process of purchasing his first home, Allen said things are “pretty busy,” and he is excited about winning Best Mobilian Right Now.